Flow-accelerated corrosion of metal caused by single- or two-phase flow of working fluid leads to thinning and destruction of welds in NPP power unit pipelines. Field experience gained from the operation of Russian and foreign nuclear power plants testifies that there have been many cases of damages inflicted to welds due to local flow-accelerated corrosion, the number of which tends to grow with the time for which the power units have been in operation. The article gives examples of the most typical places and characteristic features pertinent to the way in which the flow-accelerated corrosion of weld elements' metal takes place. The role and influence of the chemical composition of the weld metal and heat-affected zone metal on the location and rate of local flow-accelerated corrosion thinning in welds are determined. The flow hydrodynamic characteristics having an essential effect on the rate of flow-accelerated corrosion processes and the local thinning occurrence places are determined. 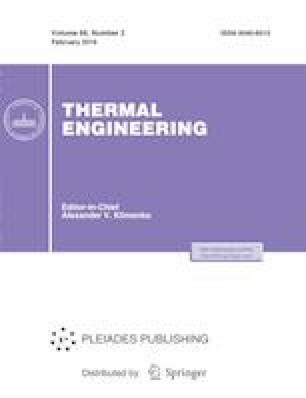 Results from numerical modeling of the flow-accelerated corrosion weld thinning development process for different contents of chromium in the weld and heat-affected zone metal are given. The possibility of increasing the flow-accelerated corrosion rate in pipelines downstream of a weld with a preceding extended straight pipeline segment made of metal not prone to flow-accelerated corrosion is analyzed. Methods aimed at preventing the occurrence of damage to pipelines of NPP power units due to flow-accelerated corrosion are discussed. The article gives information on the results of activities for modifying the standard programs for in-service inspection of pipelines at VVER-based NPPs and also on the use, at Russian NPPs, of software systems providing support to the personnel on optimizing the arrangement and scheduling of in-service monitoring of flow-accelerated corrosion wear of heat-affected zones in welds of the pipelines used at NPP power units equipped with VVER-440, VVER-1000, and BN-600 reactors. It can be expected that the application of regularly updated software systems for supporting the personnel will make it possible to timely prevent inadmissible thinning and abrupt flow-accelerated corrosion-induced failures of pipeline welds in the power units of Russian nuclear power plants.